On Saturday we had another wonderful Memories and Memorabilia Day, our fourth successive annual event to mark the building’s birthday. 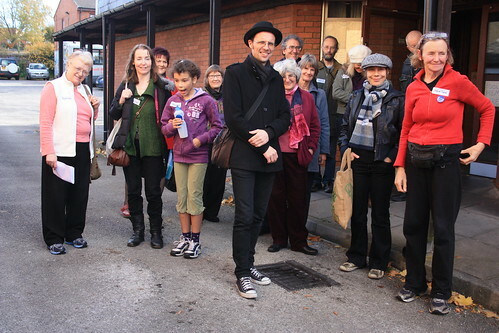 In total we took 59 people for tours of the Baths, we had a full room for Neil Bonner’s talk on Manchester’s Victoria Baths and lots of people left details, shared their memories and tucked into Russ’ wonderful soup! 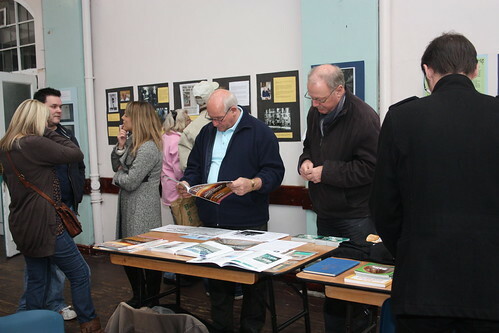 We had lots of people coming up and looking at our stalls, finding out more about our Pool of Memories project as well as looking through our exhibition. 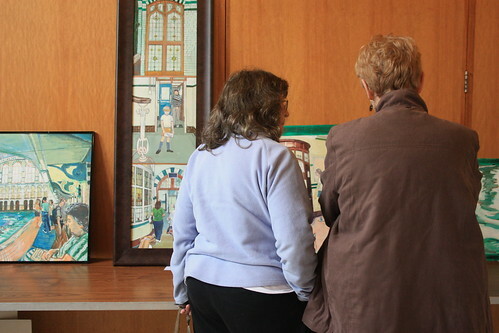 We were also lucky enough to be able to display Margaret Braithwaite’s lovely paintings of Moseley Road Baths. 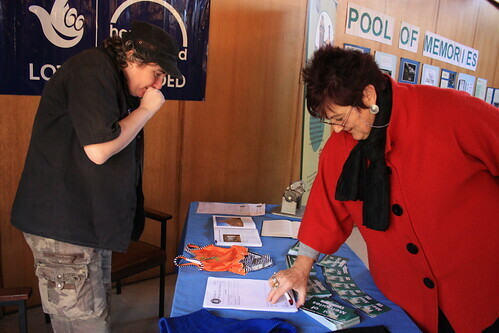 The feedback from the tours of the building was excellent, with many people never having ventured beyond Pool 2. Both Steve and Mark gave tours which took in the slipper baths, the boiler room and the laundry room. 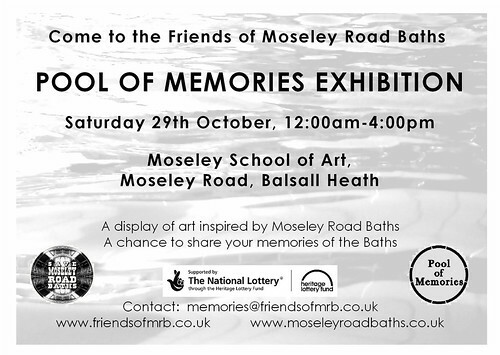 Meanwhile, I had a lovely time chatting with people about their memories of Moseley Road Baths. 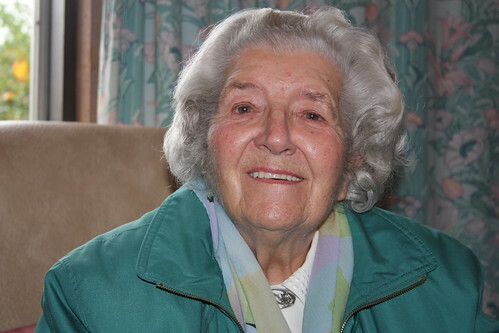 Eileen, pictured below, lived two doors down from the Baths between 1960 and 1964 and vividly remembers attending dances there, swimming with friends, and even using the Baths. 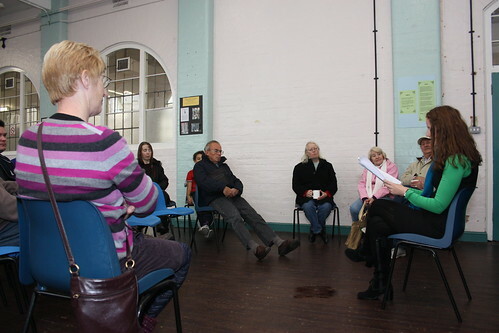 She also told us the story of when Billy Fury came to stay next door at what is now the Gurdwara! 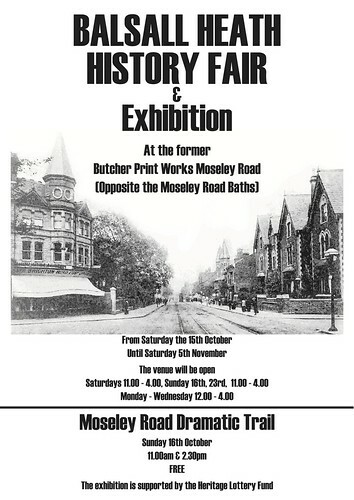 Thanks so much to all who attended, to the members of Victoria Baths who kindly came along, to everyone who held a stall at the event, to our volunteers for their hard work and of course to the long suffering members of the Friends of Moseley Road Baths Committee who put so much work into the day! 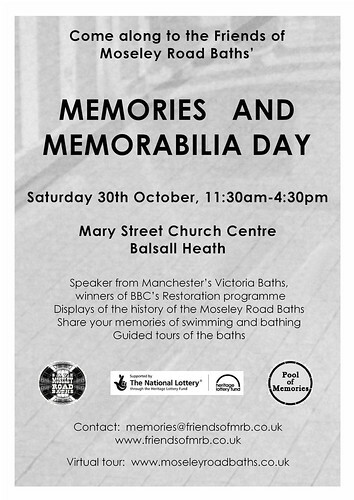 Our third annual Memories and Memorabilia Day will be held on Saturday, October 30th (the 103rd birthday of Moseley Road Baths) at the Mary Street Church Centre, cnr Edward Road/Mary Street, Balsall Heath (around 400 yards from the baths). Provisional times are 12:00-4:30pm. 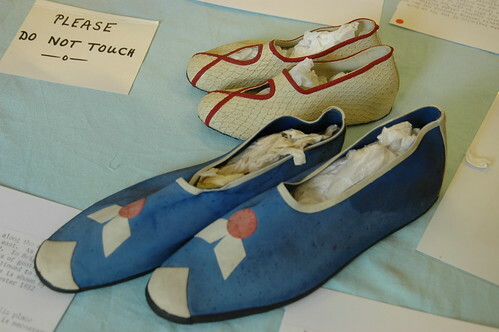 The annual celebration was well received last year, when we were lucky enough to display some of Joan Gurney’s collection of swimming costumes of yesteryear. 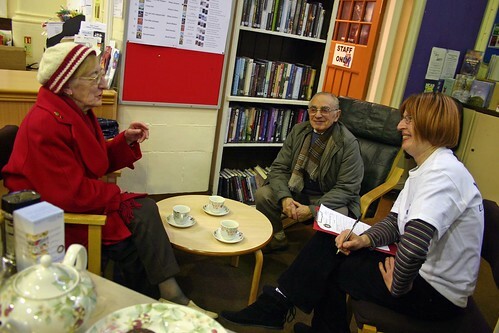 This year’s Memories and Memorabilia Day forms an important element of Pool of Memories, the three-year history project for which we recently received a Heritage Lottery Fund Your Heritage grant of nearly £48,000. 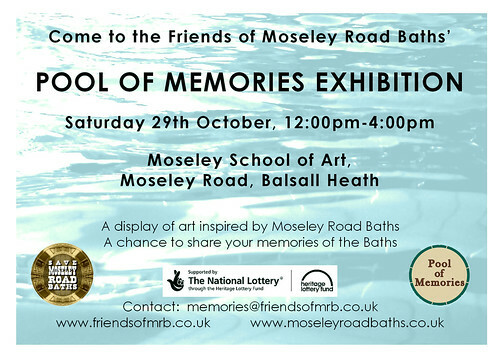 An exhibition showing a selection of the photos, video film, reminiscences and artefacts already collected by the Friends of Moseley Road Baths will be displayed and visitors will be encouraged to recount (and record) their own memories and bring along their own memorabilia for inclusion in the project and our growing archive. 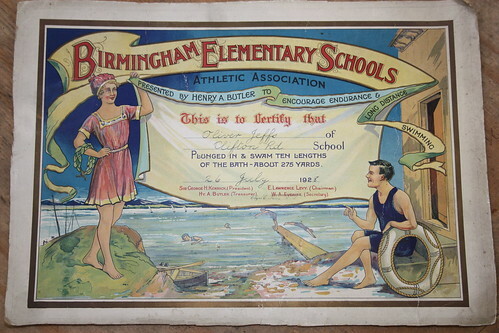 Those of you who attended last year’s Memories and Memorabilia event may well have enjoyed Played in Britain series editor Simon Inglis’ illustrated talk on Britain’s historic indoor swimming pools, based on his research for the English Heritage book Great Lengths. This year we are delighted to welcome our friend’s from the Victoria Baths Trust in Manchester (www.victoriabaths.org.uk) who will tell (and show) us all about the past, present and future of these glorious Grade II* baths (winners of the BBC’s inaugural Restoration series in 2003), the equal of our own favourite water palace! 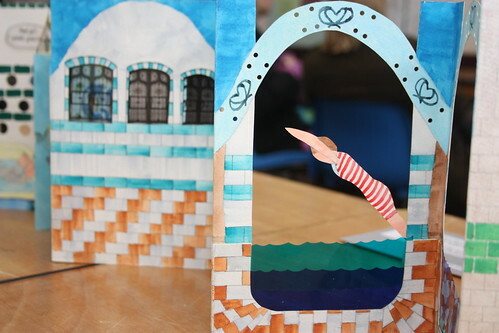 We visited the Victoria Baths a few years ago, and would really recommend going to an open day! 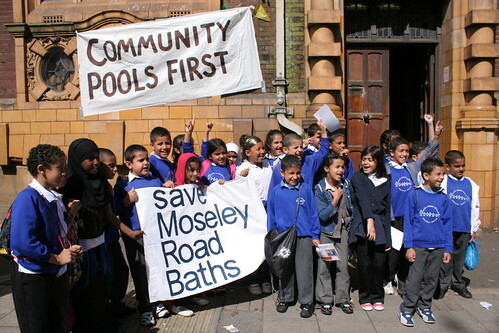 As in previous years, we’ll be providing guided tours of Moseley Road Baths, including the Gala Pool and ‘slipper’ baths, for which advance booking is advisable, if the demand of previous years is anything to judge from! Exact timings, details for tour bookings and the full programme of events are not yet finalised, so please check our website for updates and details of booking a tour place from early September.